This post contains affiliate links as part of the Amazon Affiliate program. We may receive a commission based on anything purchased through these links. This does not change the price or alter the products in any way, and helps to support our small business for free! Today I want to discuss and offer some solutions to a problem that so many friends, colleagues, and acquaintances have lamented: resistance, ridicule, and reluctance from a partner in the face of dietary change. This is not a post about how to convince your partner to change. I feel like the first step in solving a conflict is to do your best to evaluate the playing field. In 2013 I was newly married, had just started graduate school, and possessed no culinary skills. Shane (my husband) and I subsisted on the occasional "healthy meal" consisting of grilled chicken breast and frozen Normandy Blend vegetables flavored with ubiquitous Greek Seasoning. We ate at fast food joints, spent quite a bit of money at dine-in chain restaurants, and didn't really enjoy food very much. Neither one of us were particularly more responsible than the other for making food choices or preparations at home. How is my partner going to react? In light of the possibility that the same exact thought is going [or has gone] through your mind, I would like you to first evaluate the role that food plays in your relationship. For example: does one person typically do the cooking? Does one person make most of the decisions on food in the household? Do you both like to dine at particular restaurants? Is preparing food an act of service or love in the relationship? Do you talk about food, dieting, or the financial aspect of food in your partnership? Do you enjoy food? Is food a large part of the cultural background in either of your lives? Is there extended family pressure to conform to certain eating habits? Put yourself in your partner's shoes. Empathy goes a long way. If they do most of the cooking, is it possible that your new diet might make them feel unappreciated? Can you anticipate a struggle if their family expects you both to eat certain cultural foods at holidays or events? How does your partner typically cope with change? There are ways to approach someone you care about that might even be better if a mediator is present. If you feel like a fight is eminent but are determined to adopt a healthier lifestyle, it may behoove you to try seeing a counselor or couples therapist. 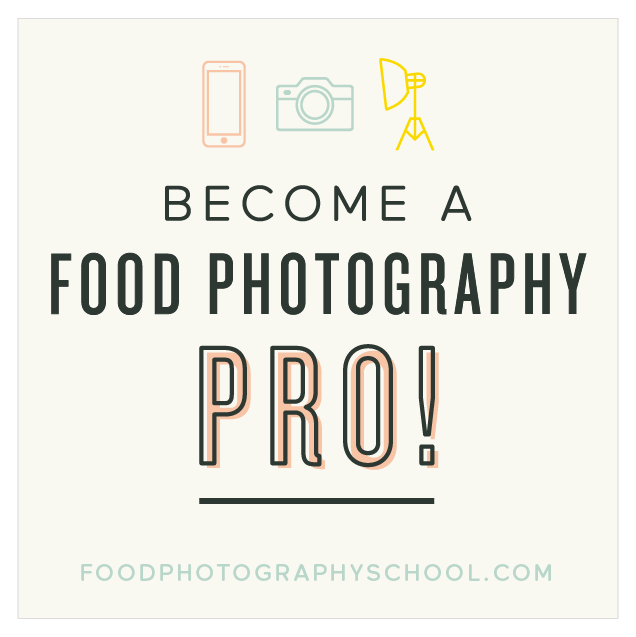 I learned how to take photos like this using the Minimalist Baker Food Photography Course below! Are you willing to accept your partner as they are? It was axiomatic even before I went vegan that Shane was a die-hard meat eater, and would stay that way. He was the first person to convince me to eat a rare steak when we were dating. I joked that he liked to see meat bleeding before it was consumed. The man also hated most vegetables. No bananas or exotic fruits, either. And never mind getting him to stop consuming dairy. Shane had a full glass of milk with breakfast, lunch, dinner, and as a dipping agent for cookies every night before bed. I knew that I was never going to change him. Author and ultra-endurance athlete Rich Roll has been eating a plant-based vegan diet for at least 10 years. A passionate wellness leader and advocate of the vegan lifestyle, he will be the first to say that his wife had been begging him to change years prior to his ultimate transition. The reason he eventually reciprocated had nothing to do with any particular rallying cry she preached. He has stated on multiple podcast episodes that the true impetus for his transformation finally came when she "released him" from her will and expectations to conform. 1) We made meals at home that could be prepared easily in stages. Things like stir-fries, pad thais, pizzas, pastas, sandwiches, grain bowls, burritos, and casseroles are often prepared for meat-eaters in stages: vegetables can often be added to a dish and meat can be cooked in a separate pan to be added later as a topping. 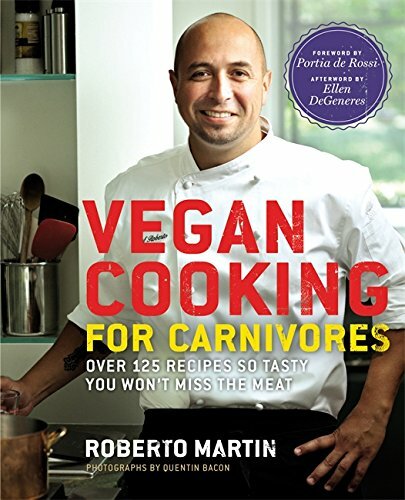 Here are some links to lists with great recipes to impress carnivores! 2) When ordering out, we chose restaurants with plant-based and meat options. It wasn't fun for Shane to feel obligated to eat a vegan meal when we went out for lunch or dinner. While there wasn't a huge selection of exclusively vegan restaurants in Houston, there were quite a few that offered a combined menu that would please us both. In the end, the compromise worked well for us, and vegan options are on the rise. 3) We accepted cooking and [occasionally] shopping separately. This is the big one. Family members, friends, and coworkers often scoffed when I told them that there were times when Shane and I picked out two separate carts at the grocery store. We combined them at the checkout, but for some reason this made people pretty upset. I eventually came to the conclusion that two people are never going to be exactly the same, and I wouldn't be happy if we were. I loved that Shane was a different person than I was. And if that meant that he chose to eat a steak while I made a raw vegan pad thai with tahini dressing, so be it. The world kept spinning. 4) We tried our best to tune out others' expectations. This is the most important point I can stress. It didn't matter what our friends and family thought about our relationship, because it was ours. I think that in the end, the external sources of criticism made our relationship even stronger. 5) We rejoiced in the fact that we both love dessert! In the end, we all love sugar, right? Shane has a sweet tooth, and so do I. There are so many amazing vegan dessert recipes out there, so we found this common ground and ran with it! Unfortunately, there are certain pathological conditions that require a person to change his/her diet in order to maintain well-being. It isn't just a choice; it's a necessity. Diabetes, celiac disease, hypercholesterolemia, gastric bypass patients, and countless more health states affect millions of people. When in doubt, try to reframe the scenario. If you had to alter your diet for health reasons, how would your resolve be different? Could you come up with new ways to combine your differing eating habits? Try to have fun. Try to set realistic goals. Think of your new diet as an adventure. Food plays a huge role in relationships, and changing things up can bring some interesting discussions to the surface. Have an adventure picking out new places to eat, cooking with new spices, and experimenting with new cookbooks! 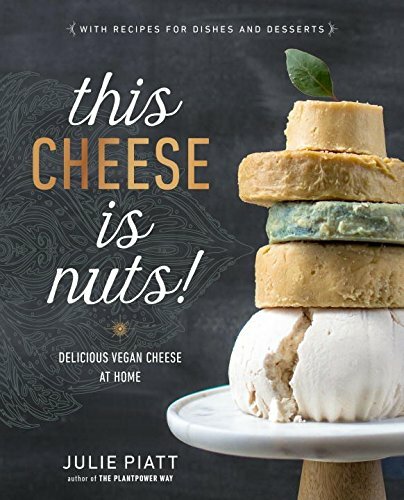 Check out this list of great vegan starter cookbooks with short reviews here!